I received this email about a month ago and it is now framed and hanging on my wall. Getting feedback on your work is a wonderful thing for any writer or artist. Getting positive feedback from someone, in this case a known and published author and poet, is high praise indeed. You are, undoubtedly, one of the finest, most genuine, most vivacious and creative poets of this century. 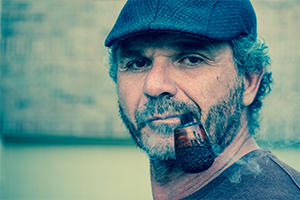 You dare to pen poems on extremely controvertible subjects and do so with flair and panache. CONGRATULATIONS! 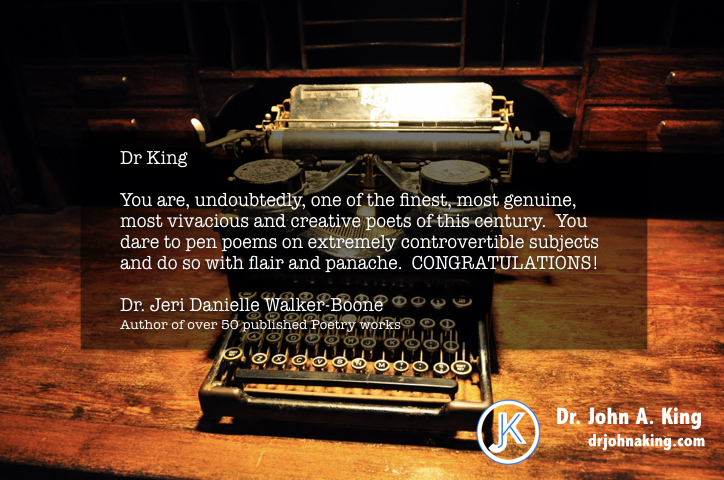 Thank you Dr. Walker-Boone, your kind words were very encouraging.